During a recent weekend getaway to San Francisco, we ran into the very nice Cowgirl Creamery, which is an actual real cheese shop. These are a rarity these days, as the business of cheese has been largely delegated to supermarkets, and somehow the rather bland cheddar has been the victim of a marketing blitz turning it in to the star of California cheeses. Not that we don’t enjoy a good cheddar, but there are soooo many more fantastic cheeses that the general populous are missing out on. 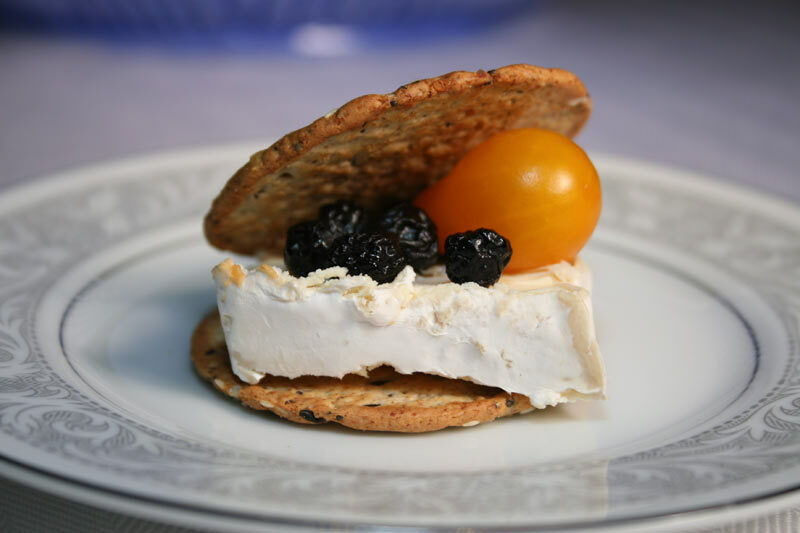 At the Cowgirl Creamery, we found the Red Hawk, “… a triple-cream, washed-rind, fully-flavored cheese made from organic cow’s milk from the Straus Family Dairy. Aged six weeks and washed with a brine solution that promotes the growth of a bacteria that tints the rind a sunset red-orange…” Indeed, this little gem is very tasty, and forms the base of the taste experience with this simple sandwich. A warm gently toasted baguette, Tuscan bean paste, Red Hawk and Genoa salami. That’s it. 2 slices of Genoa Salami. Toast the bread until it is warm, and remove at the first sign of browning. While hot, spread the Tuscan bean spread, the Red Hawk cheese, and top with the salami, folded over once. Enjoy while warm.